When’s the last time you truly cared about poetry? Was it in fifth grade, when you were required to recite Robert Frost’s “The Road Not Taken?” Was it the last time you sat in your driveway listening to the closing segment of Garisson Keillor’s The Writer’s Almanac in your car? Maybe you’ve gone your whole life without losing yourself in prose with a hot cup of tea in hand and a sleeping dog curled on your lap. That’s your business. But let me just offer this one little nugget of truth: If you’ve ever connected to a rock song lyric, you are indeed a fan of poetry. 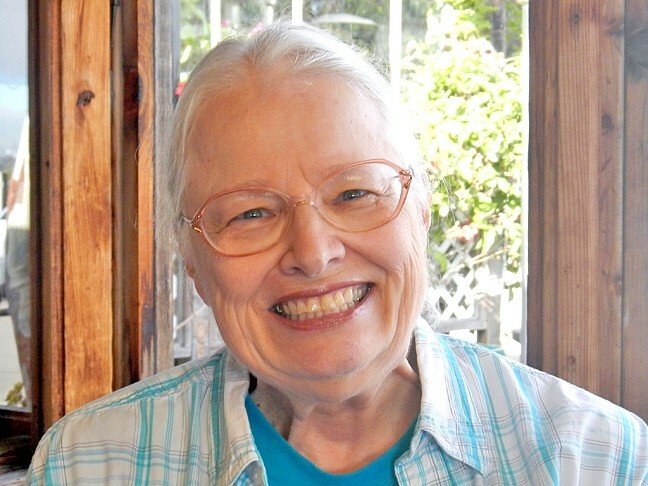 READ HER LIPS: SLO County Poet Laureate Marguerite Costigan will be at the 100 Thousand Poets and Musicians for Change this Sept. 26 at Bang the Drum Brewery. San Luis Obispo poet Kevin Patrick Sullivan doesn’t care what you think about poetry on the whole. His focus is on the feeling bubbling behind the lines. The author of Under Such Brilliance, among other poetry collections, banded together with Youssef Alaoui Fdili, a fellow poet and author of the macabre sea-fairing novel Death at Sea, to bring more poetry to local ears. And more music, visual arts, literature, and performing arts. That’s what 100 Thousand Poets and Musicians for Change is all about: A kaleidoscope of creativity coming together under one roof to honor peace, sustainability, and artistic expression. The fifth annual occasion will unfold at bongo-strewn Bang the Drum Brewery in SLO Sept. 26 from 5 to 8:30 p.m. This is not a small, isolated gathering, oh no. Part of the magic lies in the fact that—all around the world—similar collisions of art, literature, and music will be exploding simultaneously. RAISE A VOICE : Songwriters Terry Sanville (pictured), Nathan Spooner, and Dennis Ray Falcon Powell Jr. will perform alongside the band Baywood Jones. Art has changed the poet’s life. Charles Olson’s manifesto Projective Verse pretty much blew Sullivan’s mind. Sullivan’s wife, Patti, is a talented artist and poet in her own right. Her latest collection of poems, At the Booth Memorial Home for Unwed Mothers, 1966, is a stark look at the months she spent in a home for unwed mothers. Back then, unwed pregnant girls were shut out from society, and Patti’s poems are at once sad, darkly comical, and insightful. EXPRESS YOURSELF! : Find out more about the 100 Hundred Thousand Artists for Change movement at 100thousandpoetsforchange.com. Bang the Drum is located at 950 Orcutt Road in San Luis Obispo. The Sept. 26 event runs from 5 to 8:30 p.m. and is free to the public. 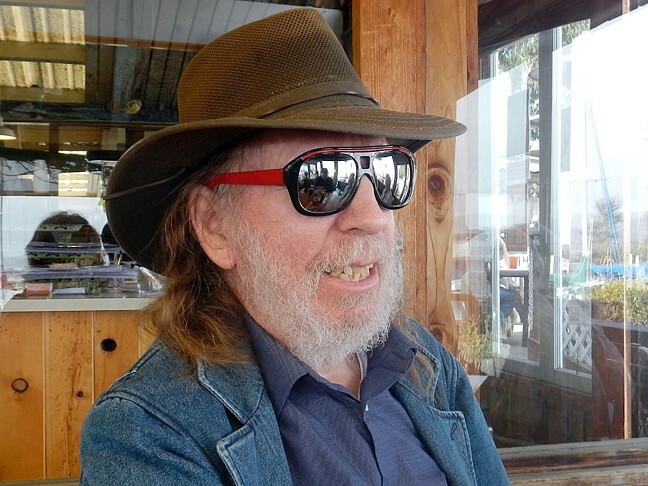 Songwriters Terry Sanville, Nathan Spooner, and Dennis Ray Falcon Powell Jr. will perform alongside the band Baywood Jones, and SLO County Poet Laureate Marguerite Costigan and Santa Barbra professor Paul Lobo Portugés will be in attendance on Sept. 26. Although each artist will bring his or her own life experience and thoughts into the mix, one mantra remains: Artists are better together than they are divided. Hayley Thomas is forever reading between the lines at hthomas@newtimesslo.com.